To promote the Evita soundtrack, Andrew Lloyd Webber and Tim Rice got back together to write a song especially or Madonna. 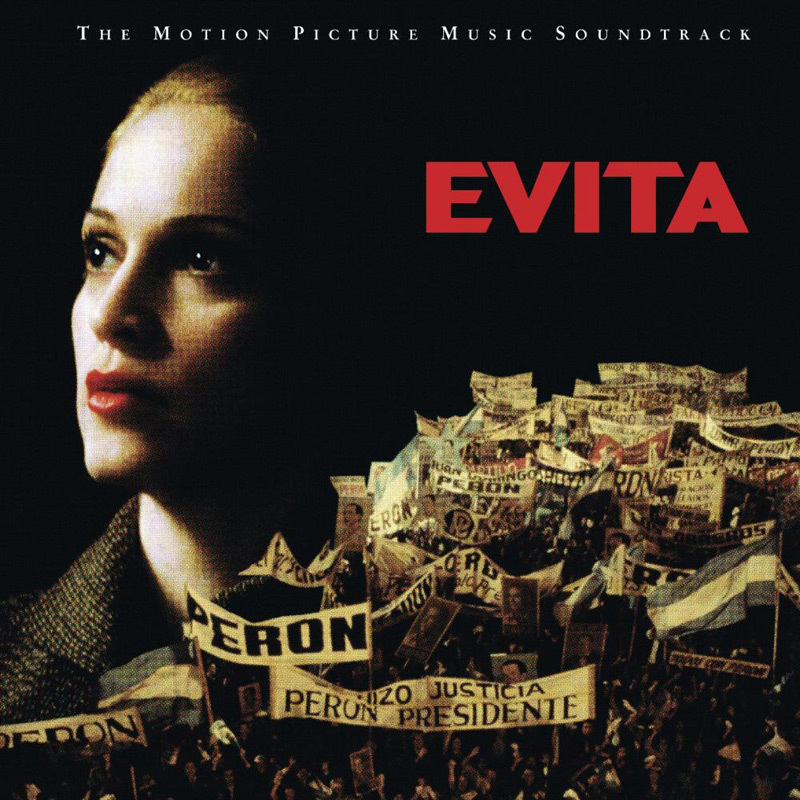 The result was this beautiful ballad in which Eva Peron shows her vulnerable side. 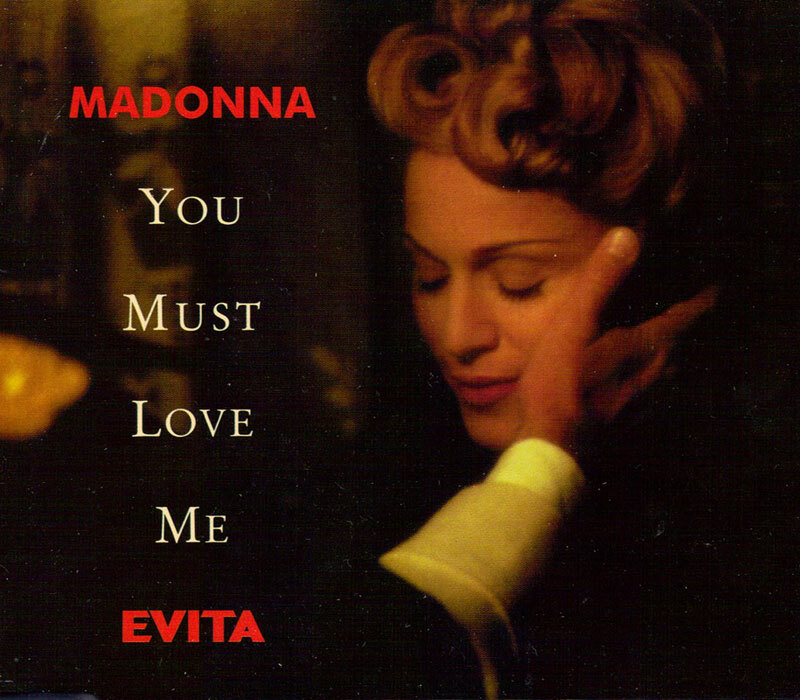 This first Evita single, released on October 27, 1996, only reached #18 in the US but still was vertified Gold. It got to #10 in the UK, #2 in Canada, #4 in Italy and Finland, and #11 in Australia. The song won both an Oscar and a Golden Globe for 'Best Original Song'. In between the recordings of the movie, Evita producer Alan Parker shot the video, which shows a very serene Madonna standing in a room with a pianist and a cellist. Notice that Madonna's shown either in close-up either behind the piano, to hide her pregnancy with Lola. The video also uses images of the movie. "Where do we go from here?" Madonna sings on the Sticky & Sweet Tour. Performing this beautifully vulnerable song for the first time on tour, she treats fans to one of her most sincere live moments ever. While the musicians, complete with the Arkady Gips, gather around her, Madonna accompanies herself on the acoustic guitar. But it's her powerful voice that stands out, echoing throughout the stadium, especially for "scared to confess what i'm feeling!!". The crowd holds its breath, much like the movie characters on the screen during Evita's funeral. For the last sentence, Madonna builds in an extra dramatic silence, before the violinist provides the emotional finale. At the concerts of Buenos Aires, Argentina, Madonna extended this performance by singing a part of the other big ballad of the musical, Don't Cry For Me Argentina.